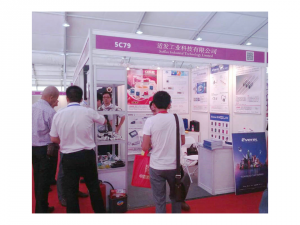 We have succeeded in participating in the China (Shunde) International Exposition for Household Electrical Appliances (Shunde Expo) during Aug. 21st—23rd, 2014. Through efficient communication and exchange of information with our existing potential customers, we have well presented our products and promoted it to a large range of markets during the exhibition, feedback is impressed and welcomed. Herein, we would like to take this opportunity to express our high appreciations to the great support and cooperations from our suppliers. At the meantime, thanks for all customers, your trust and support will always inspire us, to fulfill your request and meet your requirement. Serving your best is our goal.